How many foodies do we have in the Estate Weddings and Events | Venuelust family? I can assure you that all that work here love a great tasting meal and love the experience that comes along with it. Today we wanted to share some of the spaces we are privileged to showcase to you that are award winning, gourmet and farm-to-table restaurants. 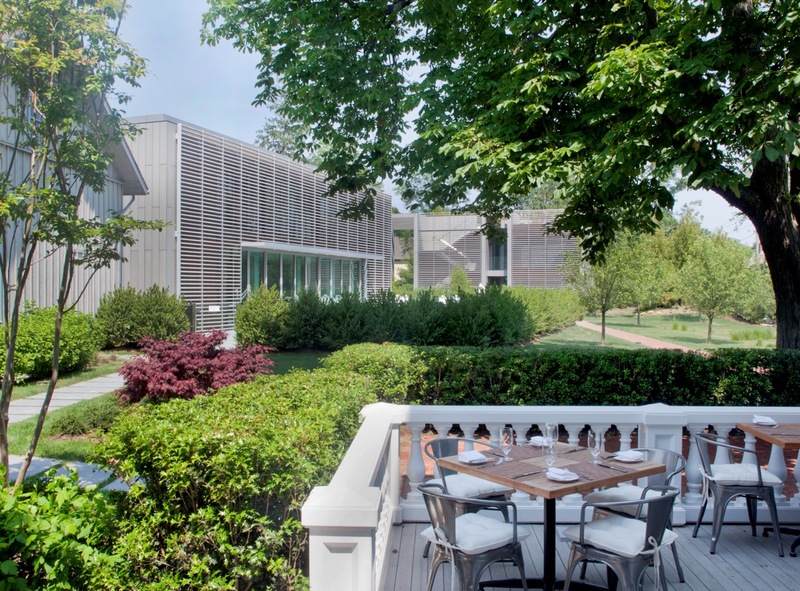 First on our foodie list is the restaurant at the Topping Rose House in The Hamptons. This menu was created by Chef de Cuisine Kyle Koenig, schooled by Tom Colicchio. The restaurant serves delicious and creative dishes that are made using a farm-to-table philosophy. These delish dishes rely on what is locally available from Long Island farms, fishermen and ranchers. As well as the Topping Rose House uses some ingredients from its very own onsite garden. Next foodie must taste and see is the restaurant at Los Poblanos in New Mexico. A organic gourmet breakfast is included in your stay in which all the ingredients are from the onsite farm. As well as be sure to come back in the evening for a amazing dinner at La Merienda. Who doesn't love the foodie vibes with an amazing view?! Time to head up to Big Sur and savor a nine-course tasting menu at the award-winning Sierra Mar at Post Ranch Inn. This restaurant is known for it's delicious, cutting-edge dishes for breakfast, lunch and dinner. Our last foodie destination takes us over to the east coast to Twin Farms in Vermont. Guests can enjoy a hearty breakfast as well as a variety of luncheon options, from a social affair in the main dining area to a romantic picnic in a quiet corner of the Farm’s 300 acres. You can also enjoy a cocktail either before or after a special barbecue or gourmet farm-to-table dinner. The amazing chefs even provide you with a complimentary lunchbox filled with gourmet goodies when your stay at the resort is over. When you are looking for Foodie spots, what do you check or reference to know if it will meet your standards?